Peoples Republic Star nation is a nation led by Queen Aihnoa on the continent of Asia. Peoples Republic Star nation's government is a Communist Monarchy with very fascist social policies. Economically, Peoples Republic Star nation favors far left wing policies. The official currency of Peoples Republic Star nation is the Mexican Peso. At 226 days old, Peoples Republic Star nation is an old nation. Peoples Republic Star nation has a population of 390,364 and a land area of 4,100.00 sq. miles. This gives it a national average population density of 95.21. Pollution in the nation is a problem. The citizens' faith in the government is completely depleted with an approval rating of 0%. 04/11 04:07 pm - star nation had war declared by Ariandowlyn for the reason of "I will have vengeance.". 03/27 03:35 pm - star nation had war declared by The promised Land for the reason of "I couldn't come up with anything better than the default". 03/12 09:01 pm - star nation had war declared by Neo Russian Empire for the reason of "Peace out or die". 02/18 02:52 pm - star nation changed their Color Trade Bloc from Gray to Pink. 02/15 07:35 pm - star nation had war declared by Vetenskap Union for the reason of "Dead men taste like chicken.". 02/09 05:09 pm - star nation had war declared by Vetenskap Union for the reason of "Gib me all ur moneyz". 02/05 10:09 pm - star nation had war declared by Fosho for the reason of "You brought this on yourself". 02/04 05:38 pm - star nation had war declared by The Republic of Maxia for the reason of "ADDDDDD". 02/04 05:36 pm - star nation had war declared by Omnitesloenigsegg for the reason of "In the name of AD!!". 02/04 04:31 pm - star nation declared war on Carolina Parkington for the reason of "Me too, thanks". 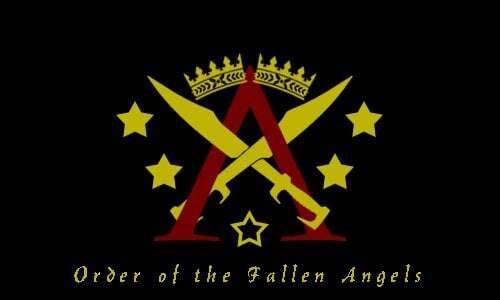 02/04 02:34 pm - star nation applied to join the alliance Order of the Fallen Angels. 02/04 02:32 pm - star nation left the alliance SWAT. 02/03 06:18 am - star nation changed their Color Trade Bloc from Blue to Black. 01/26 09:29 pm - star nation applied to join the alliance SWAT. 01/26 09:29 pm - star nation left the alliance Military and Economic Union. 01/23 04:43 pm - star nation declared war on Shivdhaam for the reason of "counter".